Hello everybody on Chit Chat! thanks for joining us! I love to talk and share about culture, Ideas and different ways of understanding our beautiful world. I must admit I have not any particular skill on writing so I'll do my best to tell you about interesting things that happen on my stay in Sapporo! Basicaly I've being studying deeply Japanese language and music. That is to say, that my Social life (and skills) have dropped considerably hahaha, but In the meantime I've learned and shared a lot with many different Japanese people. 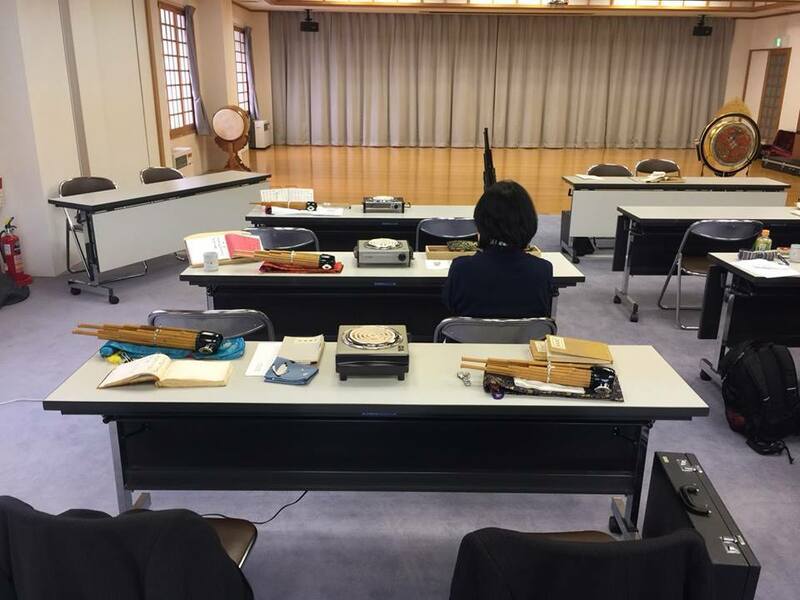 I'll tell you about one interesting experience I had in Sapporo, I went to a gagaku (traditional music) workshop at Hokkaido Jingu on February. It was a two day experience where we stayed at the Jingu office the night and continue studying the next day. A very enjoyable experiece! I was not the only foreigner in the workshop so I was very relieved to see another one. I learned a lot of interesting things about the Instrument Shō（笙）and I was surprised that Shō players were very few. I suppose is not a widely played instrument in Hokkaido… but It was very good for me since I could ask many questions and learn a lot from the teachers. After a long rehearsal (more than 8 hours!) we relaxed and drink with the teachers! they really changed from being very strict to be very gentle! 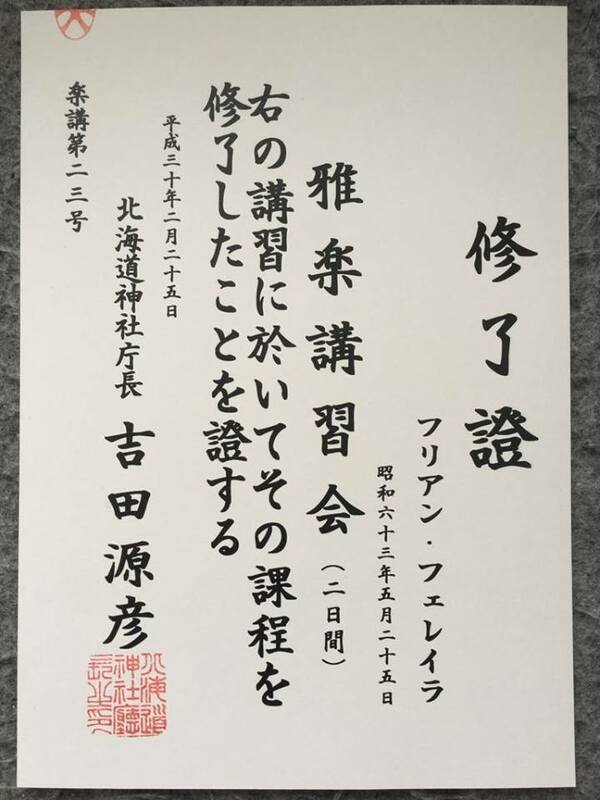 after the little party I took a bath, went to sleep and from 6am in the morning we rehearsed one last time and finally we played full orchestra at the Jingu office building for the enshrined gods and the good health of Hokkaido people. I got a certificate, and few photos (I can show just some of them, sorry). Anyway, I hope you all have a good end of the winter (My god, is so long!!!) I’ll attend another workshop at the end of March, so maybe I’ll do another blog about it!. Bye and thank you so much for reading. 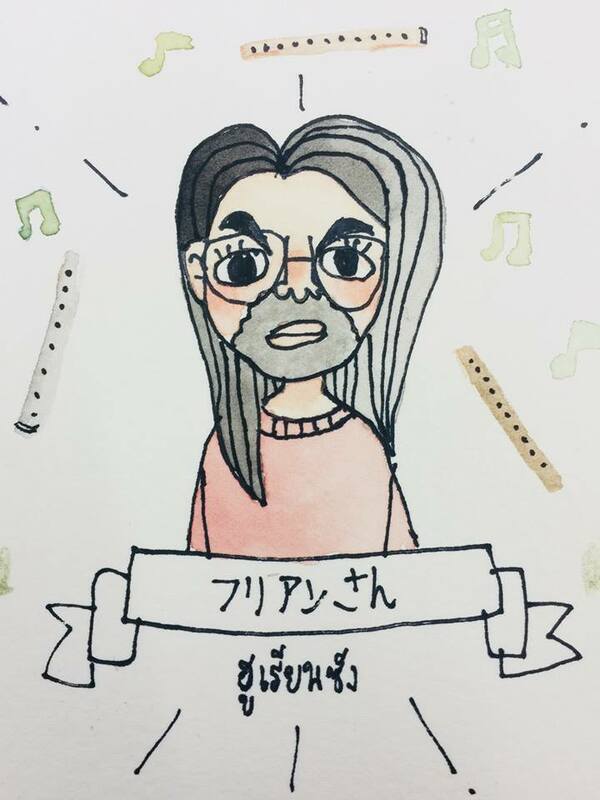 PD: I also attach a drawing a friend of mine gave to me before she went back to her country, is so funny! hahahaha tell me how you think about it when we met at chit chat!